Great Titleist travel bag, speedy delivery, excellent service. Good sturdy product which I use about 4 times a year when golfing abroad. When not in use it is easily stored without taking up to much space. Looks classy on the eye without over stating itself. Nice cover, ain’t sure about it’s durability.. This is a great looking travel cover, it has the titleist logo embroided on the sides and it looks classy. It is very spacious, you can fit any golf bag (except tour bags probably) and will still have some room for shoes, gloves, balls, etc. If you travel a lot, this might not be the cover for you though. We all know the airport staff do not take care of bags, and although this one has padding on the top it doesn’t seem to be enough to protect the clubs (specially the long ones) if they just throw the bag and top hits the ground first. I wish it had something harder on the tío prevent the bag from bending/deforming. Really good travelbag, big space and easy to handle. The only negative about the case is that you cant pur any lock on it. 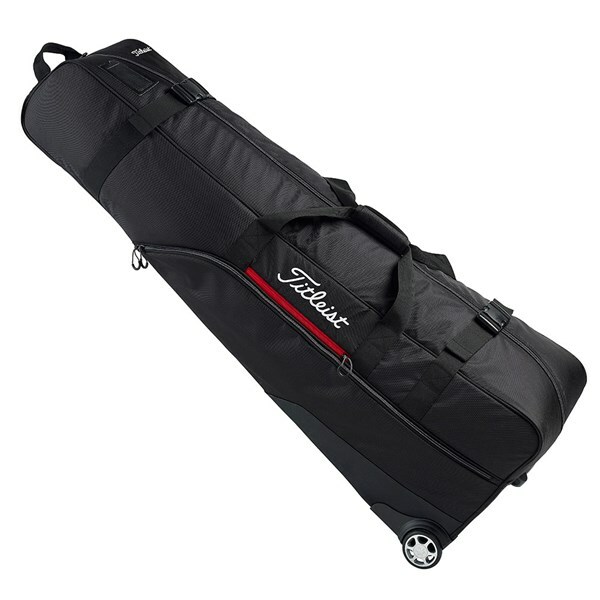 Titleist have made travelling with your golf bag exceptionally hassle free with their latest Essentials Wheeled Travel Cover. 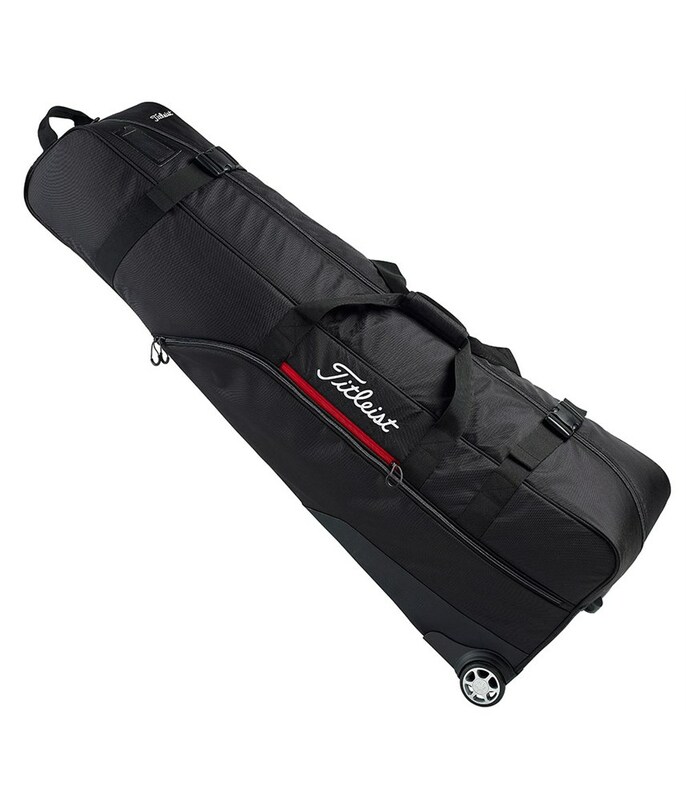 Inline skate wheels make the Titleist Travel Cover glide effortlessly over all kinds of surfaces. The two grab handles that have been added make lifting, loading and pulling exceptionally easy. The strong heavy-duty fabric will provide the necessary protection to your golf clubs without adding any extra weight to the travel cover. To reduce the amount that your golf bag moves inside the travel cover when travelling Titleist have used internal and external compression straps. A full-length zipper gives you brilliant easy access into the main compartment, making loading your golf bag in and out so much easier and hassle free. On the back of the travel cover TItleist have used a highly resilient skid material that will further enhance the durability and structure of the travel cover.